The trucking and logistics industry has entered a disruptive period in which fuels, propulsion systems and the driving process itself are the subjects of debate. One key question is whether the industry is facing a “robot apocalypse” where self-driving trucks will replace millions of drivers. That certainly is a possibility, according to the Trucking: The First Frontier panel at the Future of the Automobile symposium presented last week at the Petersen Automotive Museum in Los Angeles. “Everywhere I go I hear people talking about a robot apocalypse, about 4 million transportation workers losing their jobs in the next five to 20 years,” said Doug Bloch, political director for Teamsters Joint Council 7. Equally possible, though, is a scenario in which technology not only makes life easier and safer but also adds jobs in the transport sector. “Since the first person rubbed two rocks together to create fire we have been evolving, and I think right now we have an opportunity to evolve our relationship to technology,” Bloch said. Just how that relationship evolves and how fast new technology comes online are harder to predict. “We know where we’re headed. We see where we’re going. 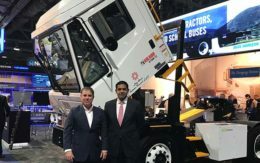 The question is how fast will we get there,” said Paul Rosa, senior vice president of procurement and fleet planning for Penske Truck Leasing. What might slow the spread of new technology is the desire to maintain or improve service levels, Rosa said. That won’t happen without serious — and lengthy — testing and development. The panelists agreed that in the short term the trucking industry is not contemplating major layoffs based on the imminent arrival of autonomous vehicles but is instead facing a driver shortage. “There is a shortage of drivers period in the industry, and it is going to continue to accelerate and get worse over the next three years,” Rosa said. Industry observers see autonomous vehicle operation as the key to solving the driver shortage. Given the immediate driver shortfall and the length of time before full autonomous vehicle operation becomes commonplace, though, it is unlikely that new technology will have much or any effect on short-term employment. Until trucks with complete autopilot capability are developed and approved for the open roads, “we’re going to still need to add drivers for many, many years, at least two to three decades,” Rosa said. Even if autonomous trucks are not just over the horizon, the specter of self-driving vehicles still threatens the current driver workforce. “For every worker that we represent, it seems like there is somebody who is thinking of an app or a tool to replace that person,” Bloch said. 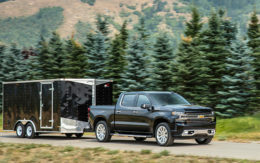 Although driving a truck once represented “a nice middle-class job” with an income to match, the current business and regulatory environment has dimmed the prospects for current drivers, Bloch said. He warned that a wholesale move to autonomous trucks could make the situation incrementally worse. At the same time, Bloch said that new transportation and logistics technologies might offer new job opportunities. He said younger members of his union have concerns about the future, but they are also keeping an open mind about the new technology. “They see it coming. There is anxiety, but there is also excitement about how this technology might make their jobs better, might make them safer, might increase their earning power,” Bloch said. As to when autonomous trucks might be a serious force in the fleet business, Rosa suggested the timeframe might be more distant than some observers believe. Completely robotic trucks are still “15, 20, 30 years away,” Rosa said. That generally coincides with a recent Center for Automotive Research study that said self-driving vehicles fitting the highest levels of autonomous operation will account for less than 4 percent of new- vehicle sales by 2030. The Ann Arbor, Mich., organization said they could reach 55 percent by 2040 however. While there are open questions about implementation of autonomous technology, there is consensus that electrification will soon make its mark in the trucking industry. The shift is likely to come well before autonomous trucks become commonplace. Dakota Semler, co-founder and chief executive of Thor Trucks Inc., a battery-electric Class 8 tractor developer, is bullish on electrification in trucking and logistics. Some of his enthusiasm stems from the obvious environmental benefits. But Semler also said there will soon be a compelling financial case that will justify the switch to electric power. “There is a clear economic model for implementing these [electric] vehicles. 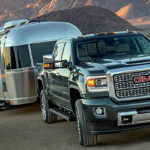 We think adoption in the commercial vehicle world will accelerate far greater than in the passenger car world,” Semler said. Penske’s Rosa said there is a great deal of customer and fleet user enthusiasm for electrification. It is “a regular topic of our VIP tours; when is electric coming? When can I get a truck?” Rosa said. At the same time he cautioned that electrification poses many issues that need to be resolved before there is significant implementation. 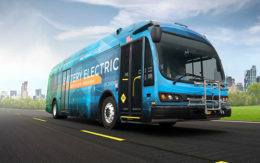 Not only is there the technology itself — batteries, duty cycles, recharge times and procedures — but there are also issues connected with servicing and operating the vehicles. “All those things have to be figured out,” Rosa said. Infrastructure that will support electrified trucks at scale is another looming issue. “It is not a trivial exercise to charge a large deployment of 500 vehicles or 100 vehicles,” Semler said. He said infrastructure improvements would generate good jobs. The Thor co-founder is not daunted by the fact that battery-electric trucks won’t fill every need. Instead he believes the technology is in tune with the direction of logistics evolution. “There is a significant majority of the industry that we call last mile or short haul, and that’s where we as a startup and others see the industry growing in the future. We see the last mile as the core growth area of the industry,” he said. Are you open to reviewing a new technology to reduce the loading effect for a vehicle? Advantages for reduced loading that I have to offer can create or generate fuel economy for class-8 vehicles at a level of 60-mpg. Please understand I am fully aware what I am stating may seem impossible. From what I understand about your company my technology will serve to make your products exceptional for long distance operation requiring less fuel and no longer require plugging in a cable to recharge the battery for electric drive applications. If this is enough to get your attention, then I hope you will reply with a positive reply that you are willing to review my technology.